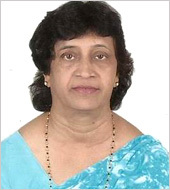 Our dear beloved Mother Mrs. Remeza Lobo Wife of Late Louis Lobo Born on 9th March 1936 and expired on 9th january 2013 to pay tribute to her soul we are offering first death anniversary mass on 11-01-2014 at 11 A.M. at St. Lawerence Church Moodubelle followed by Lunch parish hall. Relatives friends are cordially invited. No one can ever replace. Voi Dora thuji thi jini sumadhur. Sarvespor divndi thuka saasnik viram. Sadaim asa amchya mothinth Dora thuzo ugdas. Thuji dekiss amchya jinyek yek suhvas. Anik samadhanen thuzo athmo vishev gevndi. We Wish you and Your family A Very happy peace, Healthy retired life. 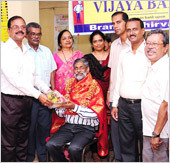 S Panduranga Kamath, Vijaya Bank, Shirva, Udupi karnataka India. Oh, St Joseph, whose protection is so great, so strong, so prompt before the throne of God. I place in you all my interests and desires. Oh, St Joseph, do assist me by your powerful intercession, and obtain for me from your divine Son all spiritual blessings, through Jesus Christ, our Lord. So that, having engaged here below your heavenly power, I may offer my thanksgiving and homage to the most loving of Fathers. Oh, St Joseph, I never weary of contemplating you, and Jesus asleep in your arms; I dare not approach while He reposes near your heart. Press Him in my name and kiss His fine head for me and ask him to return the Kiss when I draw my dying breath. St Joseph, Patron of departing souls - Pray for me. THANK YOU VERY MUCH MR.BENEDICT NORONHA AND PRADEEP FOR YOUR BIRTHDAY WISHES. Pray For us Have Mercy on us. Happy mother s day to you from all of us. On this special day we thank you for showering all the love on us and protecting us from all the dangers in our childhood days. We love you for all the things you have done for us, and making us reach heights in this competitive world. On mother s day I thank you for all the love and caring you have given us. Thanks for those sacrifices you have made for us. Thanks to God Almighty for making you as our mother. 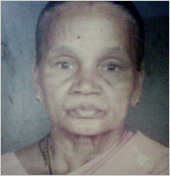 Bless our house as we are completing 20 long Years of dwelling in this house(30th May 1990-30th May 2010) Dear Mother Mary bless and guide us to reside peacefully in this house under your care.Grant us all the happiness today,tomorrow and always.You have protected us for the past 20 long years.Let not evil spirit enter this house and we are asking you to protect us from all dangers. Thank you for wishing me and for all your prayers and blessings.. I sincerely thank you all for your loving greetings and wishes sent through phone calls and emails on my Birthday, 22nd January 2010,thus you all made my birthday thoughtful,happy and joyful. Diana Veigas and family,Toronto, Canada. Francis Xavier Lobo and family,Doha,Qatar.